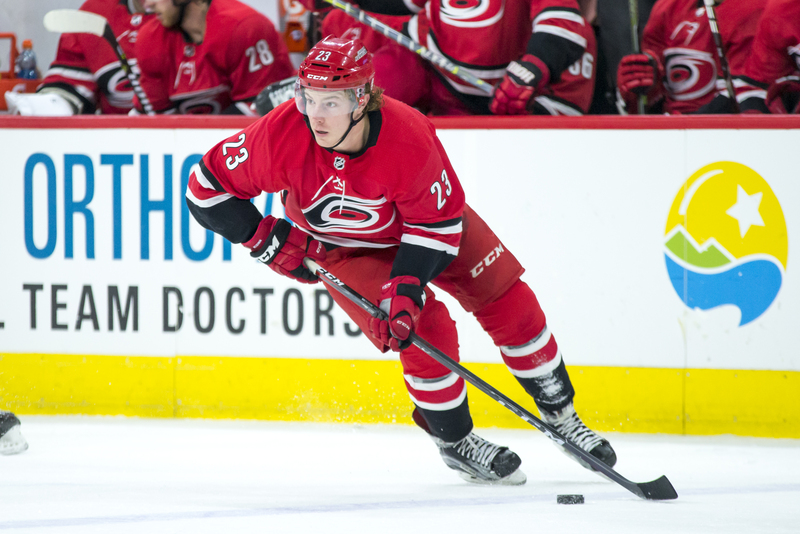 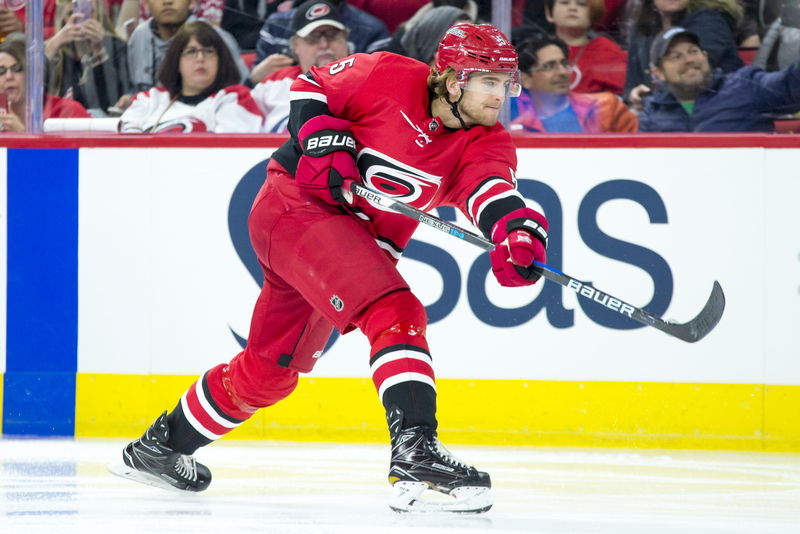 RALEIGH – After having great outings in the Hurricanes two previous games, Bill Peters decided to sit Cam Ward and give Scott Darling the start. 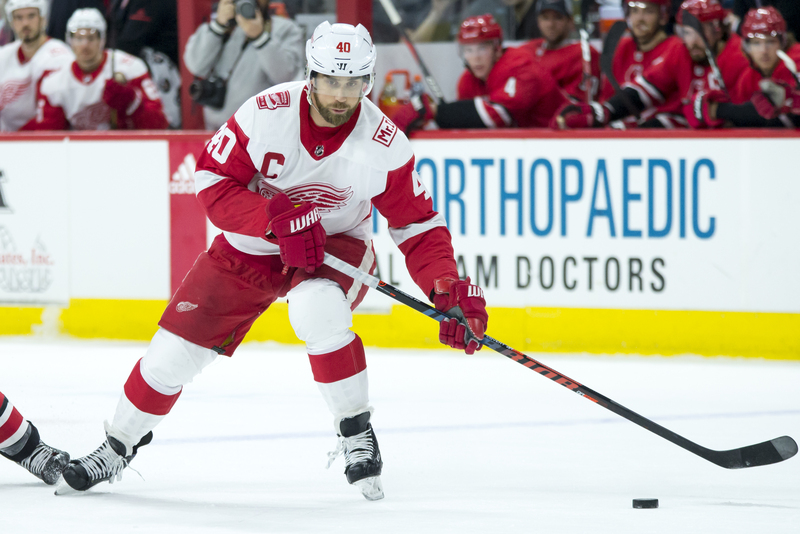 Thus far through the season, Darling has struggled in comparison to Ward and people are starting to notice. 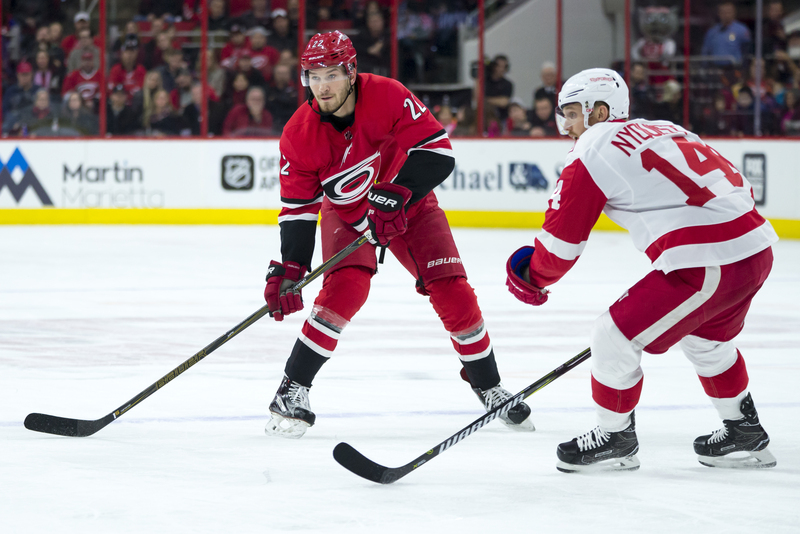 Darling started the game on a strong note, and that kick-started the Canes ability to maintain possession of the puck. 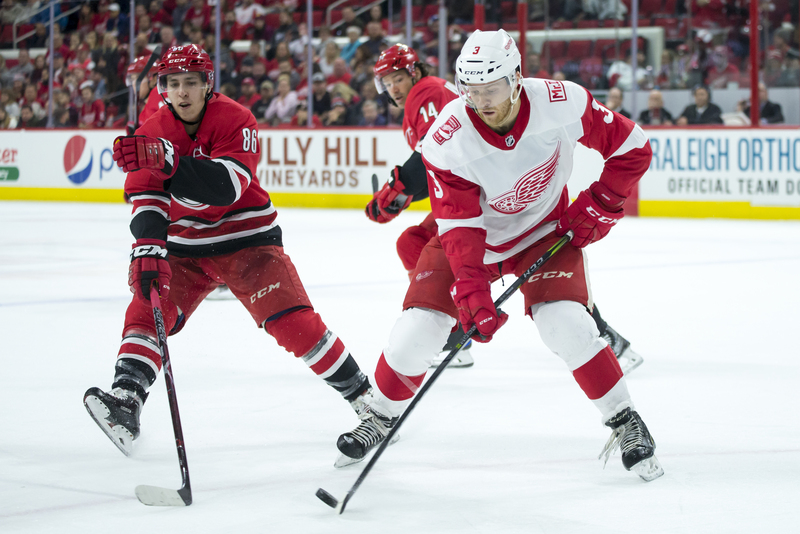 After an evenly matched game a few minutes into the game, Dylan Larkin was given the game’s first penalty 6:19 into the game. 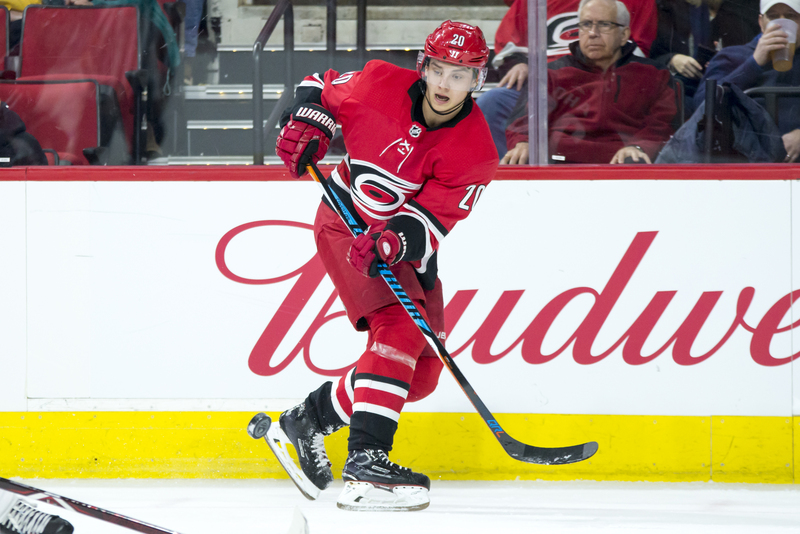 With 11:44 left in the first period, Sebastian Aho netted the game’s first goal on the power-play to put the Hurricanes up 1-0. 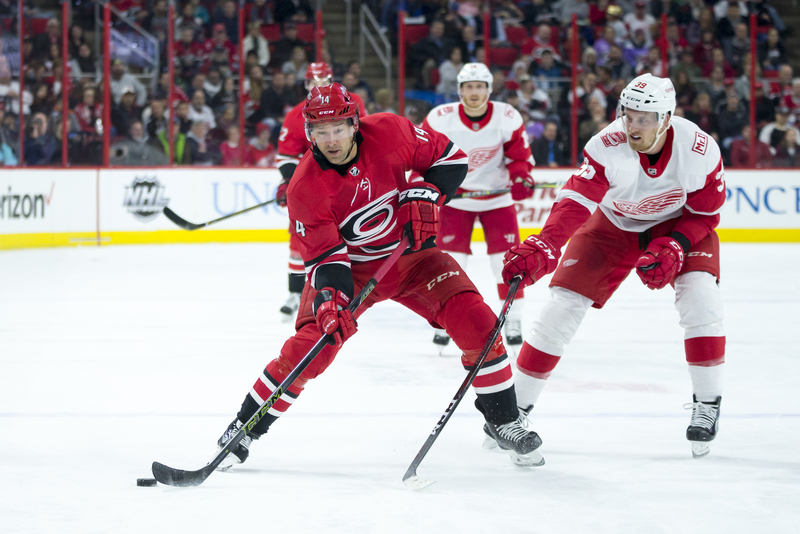 Detroit stormed back and fired shots on net but Darling stood tall to keep the Hurricanes ahead until Danny DeKeyser fired one through a storm of red jerseys to tie the game at 1-1. 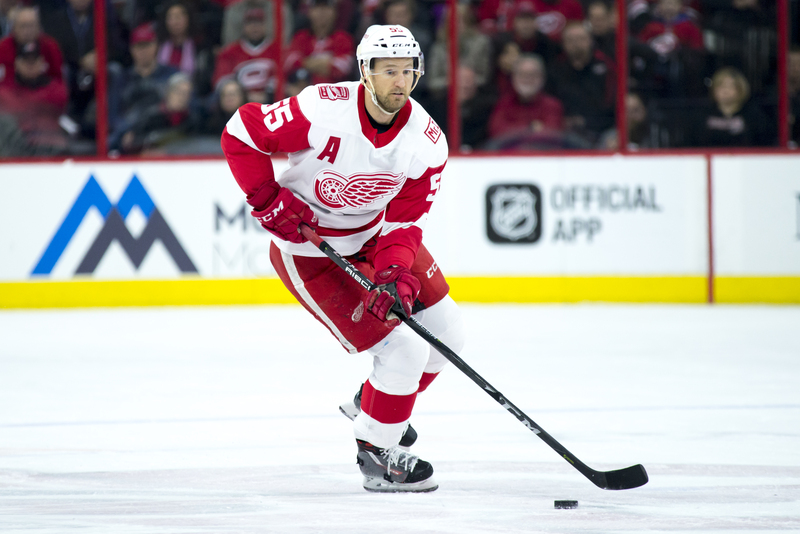 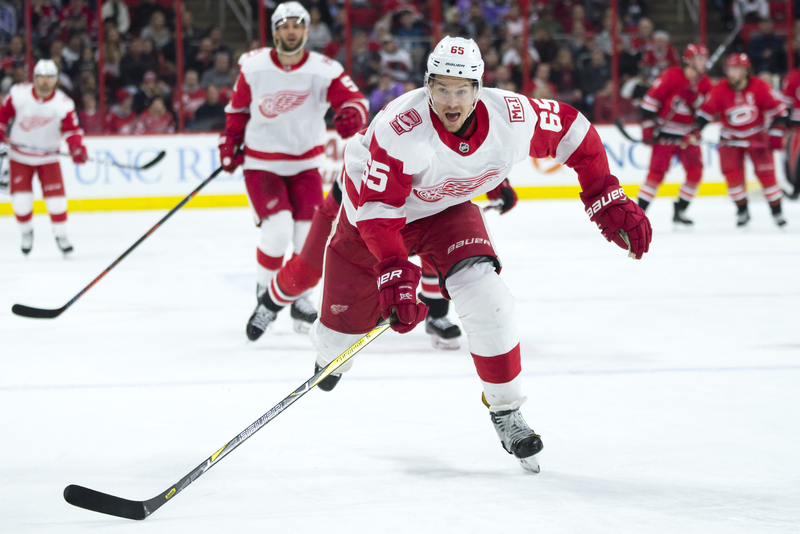 In the second period, Darling could not stop the Red Wings offense with Trevor Daley scoring on a pass from Darren Helm with 15:54 remaining, giving Helms his second assist of the night. 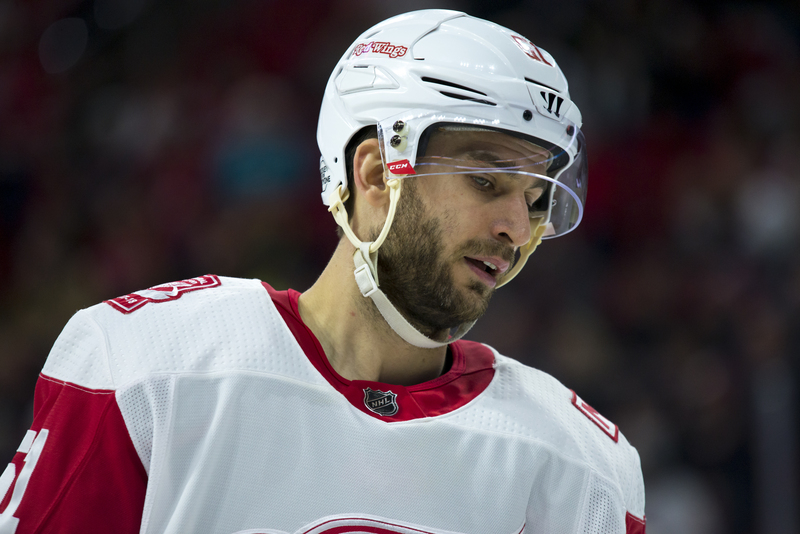 The remaining of the second period consisted of fairly clean hockey except one scrum after the whistle. 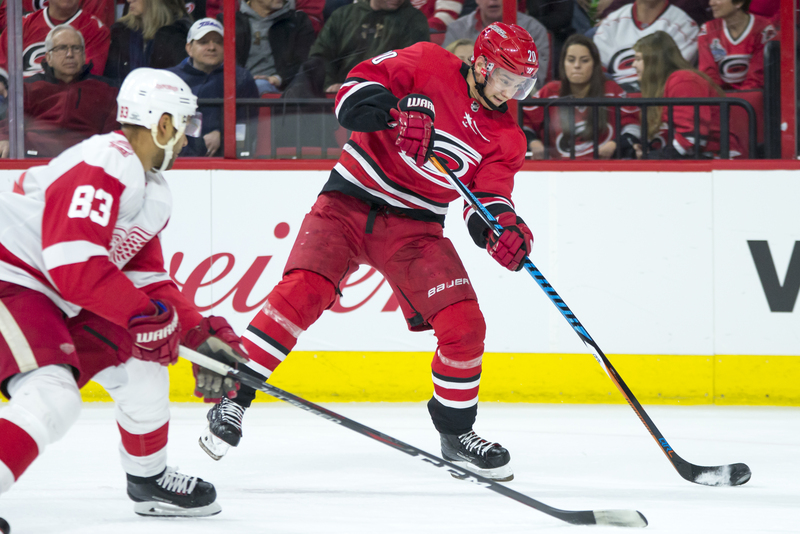 The third period was the achilles heel for the Canes with Darling’s struggles prevalent the rest of the way. 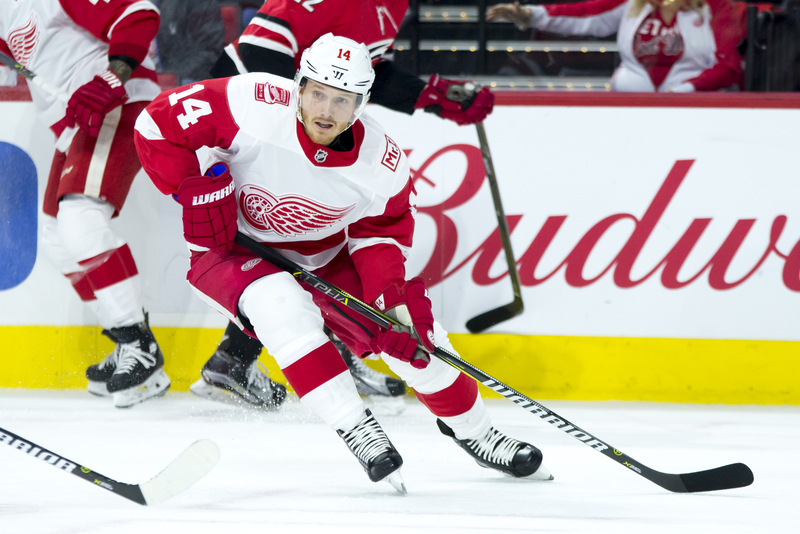 With goals by Gustav Nyquist and Darren Helms, the Red Wings proved to be more than Darling could handle between the pipes. 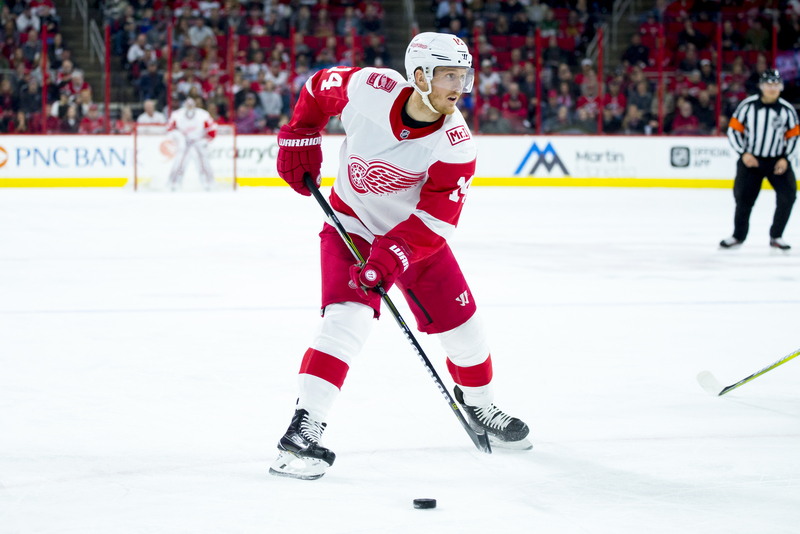 On the night, Darling made 34 saves on 38 shots on goal by the Red Wings losing a 4-1 bout. 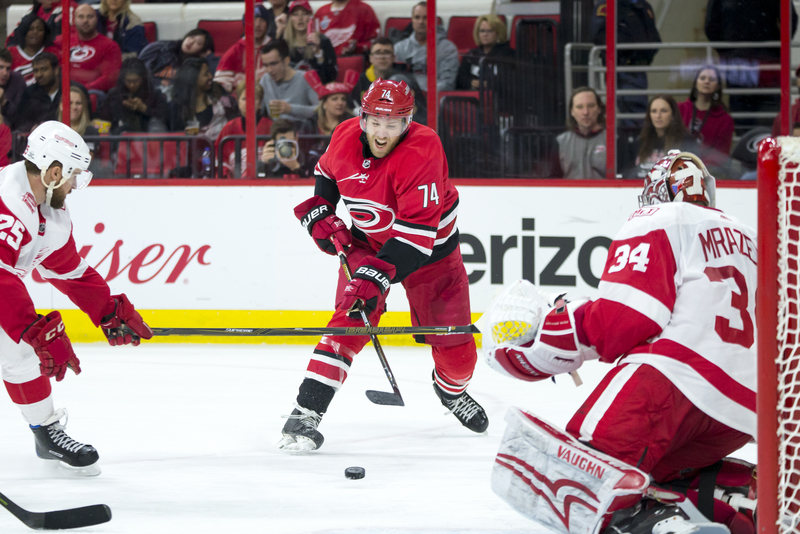 If the Hurricanes wish to rest Ward, they have to figure out a solution to their now backup goaltending issues.